Discover the beauty and peacefulness of coastal Maine at InnSeason Resorts The Falls at Ogunquit. Find timeshare resales and rentals priced up to 70% off retail today. Situated in the center of the small and quirky town of Ogunquit, the Falls at Ogunquit resort provides guests with the perfect summertime beach vacation year after year. This luxurious resort from InnSeason pulls out all the stops, with instant access to the Atlantic Ocean and neighboring communities of York, Wells, and Cape Neddick. Spend your days lazing on the beach and taking in the sun, or explore the local Southern Maine area for great dining and unique cultural attractions. Stay on-site to enjoy the resort's many amenities, including an indoor swimming pool, a sauna, and a fitness center. 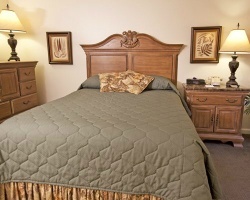 Accommodations at the resort consist of one and two bedroom suites that include the best furnishings and amenities to make you feel right at home. Ideal for families or groups of friends up to six, the timeshare suites at the Falls at Ogunquit include desirable features like in-unit fireplaces, kitchenettes, whirlpool-style tubs, and so much more. 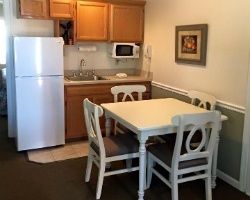 With up-to-date entertainment systems and free WiFi access, everyone in your group will feel right at home at the InnSeason Falls at Ogunquit. Are you ready for perfect beach getaways to Ogunquit year after year? Fill out the form on this page to learn more about ownership opportunities at the resort, or call a representative at 1-877-815-4227 for more information. Buying a timeshare resale at the InnSeason Resorts The Falls at Ogunquit can enable you to unlock years of great trips to Ogunquit at incredibly affordable prices. You can secure your very own timeshare accommodations at the resort for thousands less through the secondary market. Resales are sold by current timeshare owners, and not the resort itself, resulting in the same timeshare accommodations at the Falls priced up to 70% lower than retail costs. This will allow you to save big while earning excellent vacation perks and privileges. Resales at the resort come in the form of deeded fixed and floating weeks spread throughout the calendar year, as well as in InnSeason points. You'll have a wide variety in ownership intervals to consider, ensuring you find a unit that matches your vacation preferences. You can also find timeshares in different price points or unit sizes, allowing for even more customization. A timeshare resale at the Falls could also lead to further benefits within the InnSeason Vacation Club. The Falls at Ogunquit Maine is affiliated with InnSeason Resorts, a popular timeshare brand with locations spread throughout New England. Resale owners at the resort will be able to take advantage of some of the brand's best and most exclusive benefits, allowing for bigger and better trips. Joining the InnSeason Vacation Club can result in years of great owners-only features, including the ability to use InnSeason points to make vacation planning easier. You can also exchange for stays at other InnSeason resorts if you wish to explore another destination, or even book accommodations at partnered properties through Club DesINNations resorts. The Falls at Ogunquit is also affiliated with RCI, the world's biggest timeshare exchange company. Exchanging your timeshare can allow you to get the most out of your resale ownership, as it opens up opportunities to broaden your vacation potential. Simply deposit your Maine accommodations into RCI's exchange network and trade for stays at similar resorts worldwide. The Falls is also a Silver Crown-rated resort, meaning you'll be able to trade for accommodations at resorts that also carry high quality amenities and services. You can also trade your Falls at Ogunquit timeshare for RCI Points, which can provide you cruises, weekend getaways, and more. Your dream summer vacations await at this luxurious resort from InnSeason Resorts. The Falls at Ogunquit features a number of on-site amenities and services that will make your stay more comfortable and convenient. Relax at the resort's indoor swimming pool or sauna, or work up a sweat at the exercise facilities. The laundry room is there for your complete convenience, while the children's playground will ensure families traveling with kids can stay active. Utilize the resort's barbecue grills to plan a delicious picnic during the warm summer evenings. The resort's best amenity is its location, with the surrounding Ogunquit area offering amazing places to eat, see, and play. Head to Ogunquit Beach or Footbridge Beach for endless days in the sun, or explore the downtown Ogunquit area for awesome attractions. Walk the Marginal Way for great sights and ocean air, or visit the Ogunquit Museum of American Art and the Ogunquit Playhouse for cultural attractions. Don't miss the great places to eat in the area, like Jake's Seafood in Wells or Cornerstone Artisanal Pizza for incredible dishes. Finish up your vacation by heading to York to enjoy the Short Sands Boardwalk or York's Wild Kingdom. Already Own at InnSeason Resorts The Falls at Ogunquit?